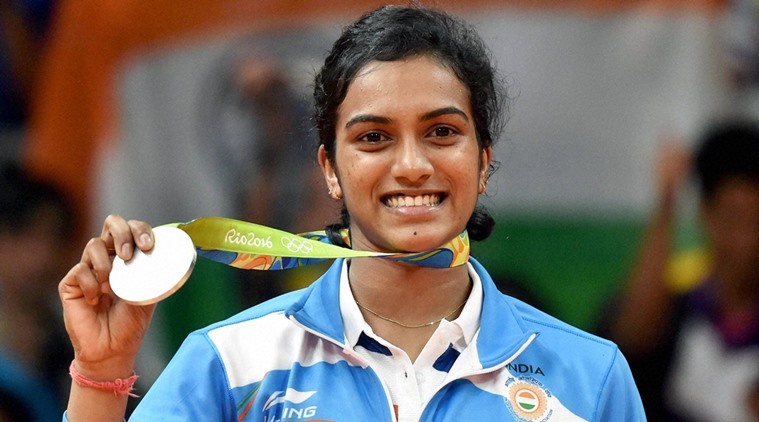 When PV Sindhu, India’s only badminton player to bring home a Silver medal from the Olympics created history yesterday, she also ensured herself some handsome monetary rewards. And while the whole nation poured praise and wishes on her, it’s the Indian governments and brands that are putting their monies where their mouths are. Hyderabad born and raised PV Sindhu will be getting Rs. 1 crore from the Telangana government for her stunning performance. (Sakshi Malik who got home a bronze and became the first Indian to open the Olympics tally this year was awarded 2.5 crores by the Haryana govt.) The Badminton Association Of India (BAI) will also give Rs. 50 lacs and coach P. Gopichand 10 lacs. Update: Delhi Government has just announced a cash reward of Rs. 2 crores, and Madhya Pradesh for Rs. 50 lacs, for the ace shuttler. Indian Railways has also committed to give Olympic silver medalists a cash award of Rs. 75 lacs. Meanwhile, Malik will be getting Rs. 50 lacs for the bronze. And it’s not just the authorities but businesses, and jewelry brands are queuing up to shower Sindhu with gifts. The first gift that Sindhu will receive is a BMW from V Chamundeshwarnath, president of Hyderabad District Badminton Association. He had gifted a BMW to Saina Nehwal when she won a bronze in 2012 and vowed to gift one to Sindhu if she wins a medal. “Before the Rio Olympics started, I had said that if anyone from Telangana and Andhra Pradesh wins a medal I will gift a BMW. I am glad, I will be presenting one to Sindhu soon,’’ said Chamundeshwarnath. And while Sindhu is likely to be showered with even more gifts and gestures as the days unfold, Sakshi Malik received a thoughtful gift from Air India. The airline offered Sakshi Malik two business class return tickets to anywhere she likes. While Indian government and sports authorities have has often been dismissed for their neglect of sporting facilities and lack of funding and infrastructure to prepare Olympic athletes, pampering the winners post their wins may just serve as a great motivator for future superstar athletes from the country.